Katie & Patrick just welcomed the newest addition to their family, baby girl Sloane who arrived on January 6th! I had the pleasure of meeting her at 10 days old and documenting the family, including proud big brother Silas! 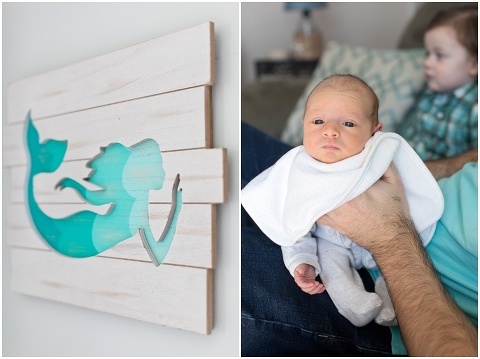 Sloane has the cutest rustic, mermaid themed room and the best mermaid onesie to go along with it. Congratulations Scarpati family and welcome to the world Sloane!